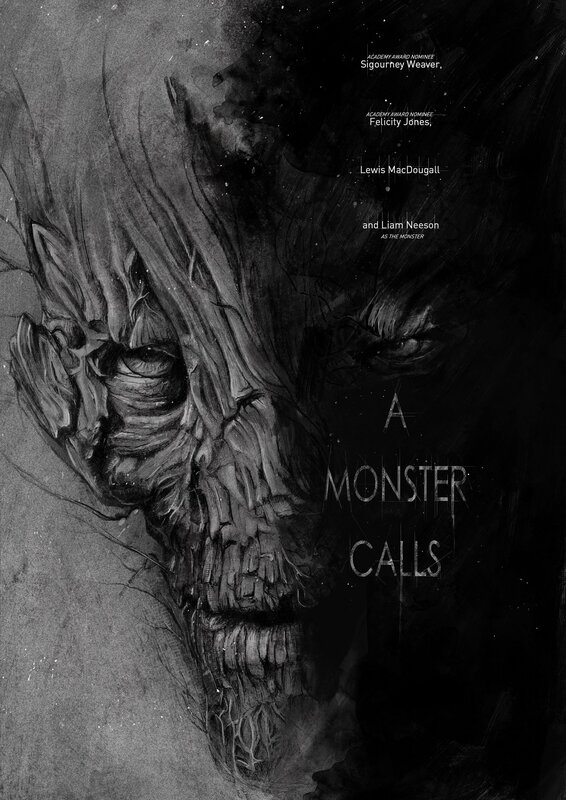 My first entry into the Poster Spy competition for ‘A Monster Calls’. I’ve been a huge fan of the book since it’s release when I saw the incredible illustrations by Jim Kay. I’ve tried a few different ideas and style for my posters but this first one I hand drew in pencil on watercolour paper before painting in watercolour and the adding final painting in photoshop. The iconic image of the monsters face really was too great not to feature in a poster.